This kit converts a 1995 (EO) and newer 9.9/15 four-stroke tiller model to remote shift and throttle operation. Remove stop switch clip to prevent accidental starting. Thread connector (1) onto shift link (2) until tight. 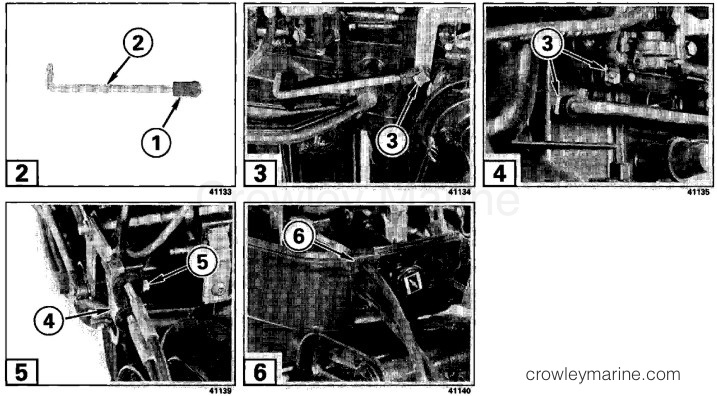 Install shift link on shift lever and retain with spring clip (3). Install remote control cables as described in service manual. Install spring clips (3) to secure cables. 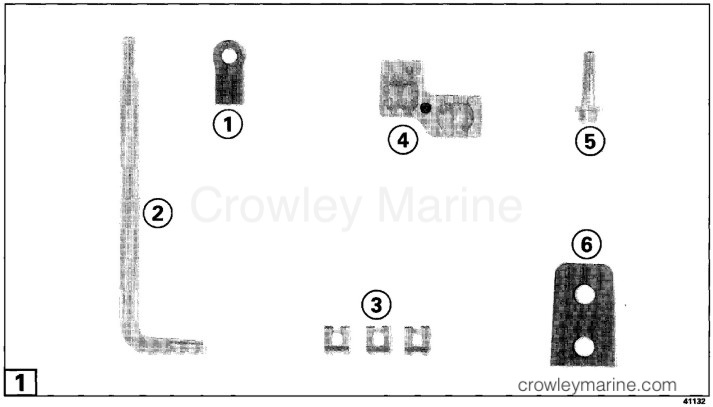 Install retainer (4) and screw (5). Tighten screw to 60-84 in. lbs. (7-9 Nm). Install lower engine covers. then install new grommet (6) on cables and position it in cover. Verify that controls work as intended for safe operation.